We have been Almarai’s retained environmental and effluent treatment consultants since the early 1990’s. During this time we have played in an important role in helping them minimise their water usage and their product loss at their central processing plants (CPP). In addition, we designed their effluent treatment and sewage treatment plants which have proven to be highly robust to handle the trade effluent and domestic sewage generated on site and treat to a standard that enables them to meet their environmental responsibilities. Both the trade effluent and sewage treatment systems rely on membrane bioreactor (MBR) technology (flat sheet membranes) which has proven to be an effective and reliable treatment solution. 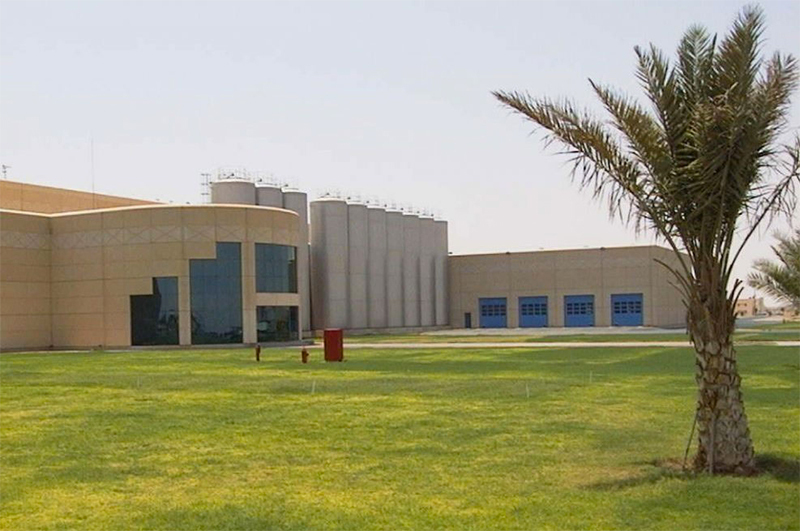 The exceptional final effluent quality of the MBR treated process effluent combined with further treatment (Reverse Osmosis) now means they can reuse c. 4,000 m3/day at the factory/site which has considerably reduced their well water abstraction.